This past week has been the best so far this season this season. Despite last weeks heat wave where temperatures climbed into the high 90's and the humidity was crazy, we did do very well on all our rivers. Our rivers are higher than normal for this time of the season, the warm weather didn't significantly change the levels or temperatures, conditions remain great. Allan Bech from Denmark with his first Grand Cascapedia and North American Salmon. Congratulations Allan! 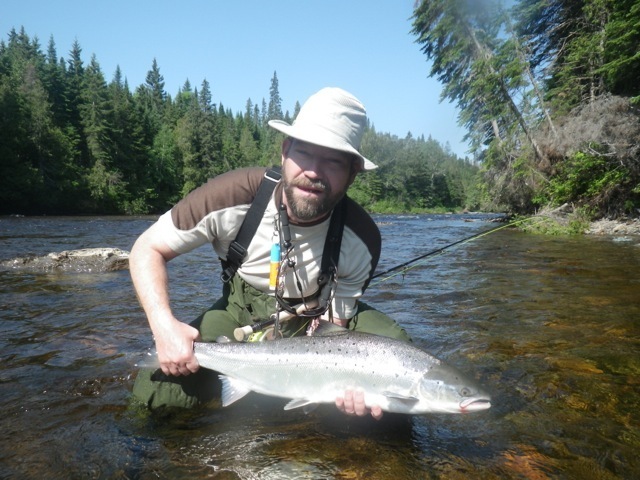 The Bonaventure is getting a nice run of both salmon and grilse. In 2013 grilse numbers were down which translates to a lower 12 to 15 pound run the following year, exactly what we are experiencing this season. With a good grilse run this season we know that next year will be a good one. Water conditions on the Bony are perfect. Similar conditions on the Petite Cascapedia has kept the fishing great as well. The Petite has a good number of fish and it's been producing well from the start. The Grand Cascapedia has been one of the best rivers in 2014. Fishing has been great since day one and this past week's been no different. Warm weather effects the Grand a little more that the Bony and Petite, by weeks end water conditions were beginning to warm up a bit . 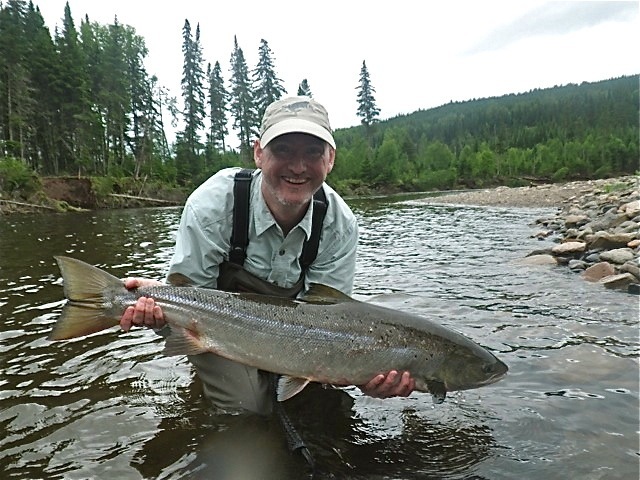 Ron Brenneman of Calgary Alberta is no stranger to salmon lodge or salmon fishing. Ron landed three nice fish on his first day. Way to go Ron! We are waiting to see if Hurricane Arthur makes it to the Gaspe Peninsula. The weather man's calling for 50 to 60 millimeters of rain and high winds, that amount of rain would put us back to May water levels. Didn't take Blaine Labonte too long to catch his first fish of 2014. nice fish Blaine! 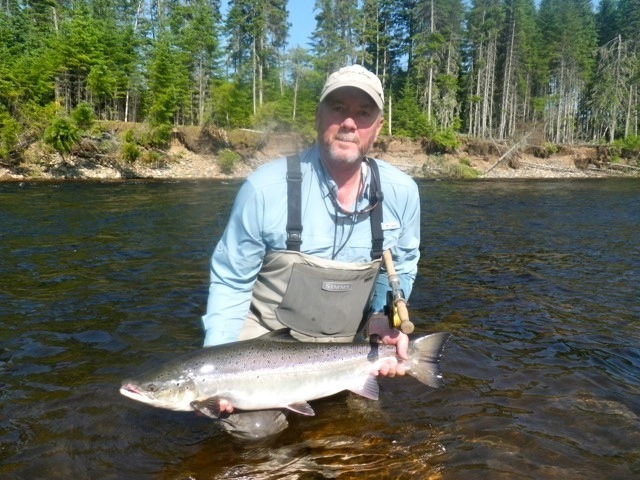 Salmon Lodge regular David Kent with a fine Grand cascapedia salmon, congratulations David!